How to be a sensitive Christian during the Christmas season. From The New Yorker. 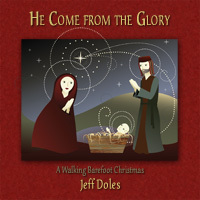 My new Christmas project, He Come from the Glory: A Walking Barefoot Christmas, is now available at Amazon.com. You can also download the entire album right away in MP3 format. Listen to free audio samples here. Our new Christmas CD is now available at Amazon as MP3 download (CD version coming soon). You can sample the tracks and order with the widget below. Click on the "Buy MP3" tab to download the whole album for $8.99 or individual tracks for $0.99 each — such a deal! We've also made a little PDF booklet to accompany, featuring song lyrics and information. You can download it for FREE here. Here are some of the books currently in my reading pile for November. Now, whether I get to or through them all is another question. (Sung) ποταμῶν ῥοθίων πᾶσαι. Υμνούντων δ' ἡμῶν [Π]ατέρα χ' Υἱὸν χ' Ἅγιον Πνεῦμα, πᾶσαι δυνάμεις ἐπιφωνούντων· Ἀμήν, Ἀμήν. Κράτος, αἶνος [ἀεὶ καὶ δόξα Θεοὶ δωτῆρι μόνῳ πάντων] ἀγαθῶν· Ἀμήν, Ἀμήν." I have shown the reconstructed text not present in the surviving text in brackets and denoted spoken and sung parts (some parts are merely spoken due to the absence of any notation for those areas). Last week, early Monday morning, my grandmother, Frances M. Bostick, went to be with Jesus. She was 99. My brothers and I traveled to Spartanburg, SC and arranged the funeral. It was a good service, conducted by her Baptist pastor, John Lancaster, and assisted by a Pentecostal preacher who had known Granny for years. It almost broke out into a campmeeting. 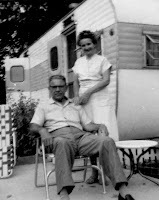 For years, Granny and her husband, Garrette H. Bostick, had ministered together, first in the hills of western North Carolina with the Blue Ridge Mountain Bible Mission in the 1940s, then in itinerant and church ministry in the 1950s as Garrette served as pastor of Ansel Street Chapel in Spartanburg. That is where Joe Mosley, the preacher who assisted at Granny’s funeral, first met them and came to know the Lord under Garrette’s ministry. 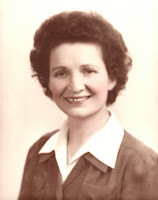 After Garrette went to be with the Lord in 1965, Granny continued on in ministry in a variety of forms: distributing gospel tracts, teaching “Good News” clubs for children (she really knew how to work a flannelgraph), Jewish evangelism, working with girl’s homes and women in jail and prison ministries, playing piano and singing here and there for churches and other gatherings. She was always looking for an opportunity to encourage others with the word of the gospel. Even in her nineties, if you spoke with her on the phone, you were liable to have her sing you a song. Up until last year, she was still living on her own in a little apartment she had occupied for 25 years. She had many friends who would help her out with various chores and errands. But the time came when she realized she needed to move into Valley Falls Terrace, an area nursing home where her increasing medicals needs could be met. Though her body was failing her mind was still sharp — something the attendants at the home appreciated — and her evangelistic spirit still strong. My brothers and I are all in Florida, and it was difficult for us to arrange care for her in South Carolina, so we are grateful for all her friends in Spartanburg who assisted her over the years. Through their care and again at the funeral, we have seen that Granny was well-loved and respected. On Thursday, we committed Granny’s body to the ground from which it came, where it will await a future day, for we live in sure and certain hope of the resurrection. In the meantime, she is rejoicing in the presence of the Lord with Garrette and my mother. So we are rejoicing, too. SaintSong. Songs by folk artist Sarah Hart, based on ancient and medieval prayer texts. Full songs here interspersed with interview clips about each song. Very nice. Very exciting! Just got in a shipment of books I ordered from Amazon. That should keep my busy for a little while. Just have to decide which one to begin with. Here's a cool cover of "Stand By Me," put together from a variety of street musicians on location around the world. Part of the Playing for Change project. Do not follow for I may not lead. Do not lead for I may not follow. Just go sit down somewhere, will you?" I want to die quietly in my sleep like my grandfather, not screaming in terror like his passengers. Remember boys, women always have the last word in an argument. Anything a man says after that is simply the beginning of a whole new argument. Just struck me funny when I read them. Maybe they'll do the same for you. Form Global Celebration, a ministry of joy and healing with Georgian and Winnie Banov. Blisstronica 2: Geo+Coco. I love it. 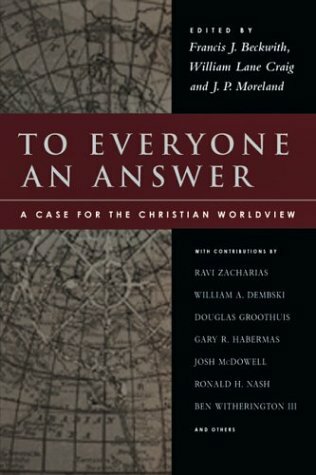 Working my way through this large volume — I'm up to about the 4th century now. Christians theology has been in development for 20 centuries, with a lot of interesting twists and turns along the way. Roger Olsen's style makes this subject very accessible. History is made up of stories — narratives that recount the events, movements, ideas and lives that have shaped religions and nations. 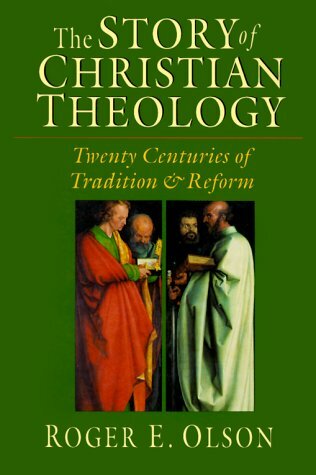 Theologian Roger Olson believes that the history of Christian theology should be told as such a story, one replete with thick plots, exciting twists, interesting people and fascinating ideas.In this panoramic work of historical theology Olson vividly recounts the deeds and words of the cultists and apostolic fathers of the second century, the clash between the theological schools of Alexandria and Antioch, the epochal division between East and West, the revolutionary advent of the Reformation and much more, right on up to the dazzling, sometimes dismaying fallout that has continued to shake Christians through the twentieth century. Through it all Olson detects and traces a common thread: a concern for salvation — God's redemptive activity in forgiving and transforming sinful human beings.Evenhanded, refreshingly readable, impressive in its breadth and depth, The Story of Christian Theology is poised to become a standard historical theology text. Good introduction to a great worship leader. My favorites songs include "When I Look at the Blood" and "Balsam Trees." Here is an interview with my brother Gary on Acoustic Spotlight, along with a few of his songs. I'm currently reading this book. Saw this at Barnes and Noble and did something I don't usually do — paid full price because I wanted to start reading it right away. Some people wonder why the wicked prosper. Often it is because so many Christians are afraid of prosperity. This book lays the Biblical foundation to show that godly prosperity is not about greed but about the kingdom of God. What happens when you combine modern economics, business principles and solid Biblical insight? You get Rich Church, Poor Church! 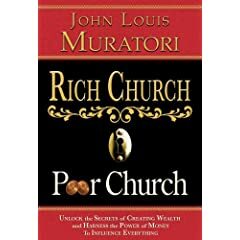 John Muratori, internationally renowned speaker and one of our nations leading wealth strategists, demystifies spirituality and prosperity so that you can be wealthy, Gods way. In this book, John blends decades of business experience, intensive research and proven leadership to present you with the specific laws that govern the entire spectrum of wealth generation. The 12 Biblical Laws of Wealth Creation are the most universal set of directives on prosperity. Not bound by economic limitations, these laws are transcultural and transgenerational. Regardless of your age, environment or financial situation, the 12 laws will stop the lack and shape your financial destiny! 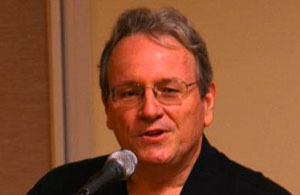 John Muratori identifies seven gates of cultural influence that he refers to as the Mind Molders. He details the crucial role wealth plays in controlling the gates that shape the lifestyles of our society and mold the minds of your children. John chronicles the history of the Jewish people and their miraculous ability to create wealth. Though they were a people without a country for over three thousand years, they prospered and flourished wherever they sojourned. They possess a promise from God for success, influence, wealth and riches. Within this history, John pinpoints the birth of modern capitalism and reveals that the Scriptures provided its framework. Last week and this, I have been enjoying the Believer's Voice of Victory broadcast. Kenneth Copeland has been discussing what the Bible has to say about prosperity with Fred Price, pastor of the Crenshaw Christian Center in Los Angeles, CA. It is a much needed word for many who are going through difficult economic times. The earth and all the riches in it are God's. But how do believers obtain it? Should Christians even be wealthy? Price reveals that purpose is the key to prosperity for Christians. We're called to understand God's plan and work to accomplish it by feeding the sheep and furthering God's kingdom. "Beloved, I pray that you may prosper in all things and be in health, just as your soul prospers" (3 John 2). God intends for you to prosper and be financially secure for life! This is not just a "name it and claim it" book, but rather a book contating essential sound biblical principles that will bless your life and completely transform it financially! 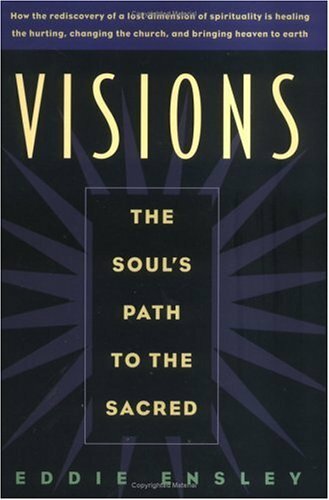 I've been reading this book by Eddie Ensley, Visions: The Soul's Path to the Sacred. It is about the divine and human interactions involved in visions, from the trance-like vision we normally think of when we here this this, to the flashes of insight we receive from time to time, to the seemingly mundane ways God speaks to us through what we see, hear or even smell. He also talks about the vision of what others see in us. Ensley pursues this topic from his contemplative point of view as a convert to the Catholic church. His conviction is that visions bring healing for us. Visions has helped me explore more of how God has spoken to me in the past and understand more of what He wants to say to me today. The sub-subtitle describes the book pretty well: How the rediscovery of a lost dimension of spirituality is healing the hurting, changing the church, and bringing heaven on earth.